June | 2012 | Fit Girl. Happy Girl. About 5 miles into my 7-mile run on last Saturday, I started to get a weird feeling. I felt like I was out of my body, like I wanted to run faster and I almost felt giddy. At first I got concerned because it was a pretty hot morning and I thought I might be dehydrated. After I finished my run I felt an immediate rush of energy and euphoria and it was then that it clicked for me- I was experiencing runner’s high. Runner’s high is a phenomenon most long distance runner’s and endurance athletes say they experience during or after a tough workout. I had always heard other runners talk about it but never experienced it for myself until last Saturday. For a long time, doctors and scientists dismissed runner’s high as an actual medical phenomenon because they couldn’t figure out how to prove it. Before I became a serious runner I also didn’t completely believe in runner’s high. But now I’m a believer. After my run, I took to the Internet to find answers. Is runner’s high a real thing? Are we actually getting a boost of energy after certain miles? 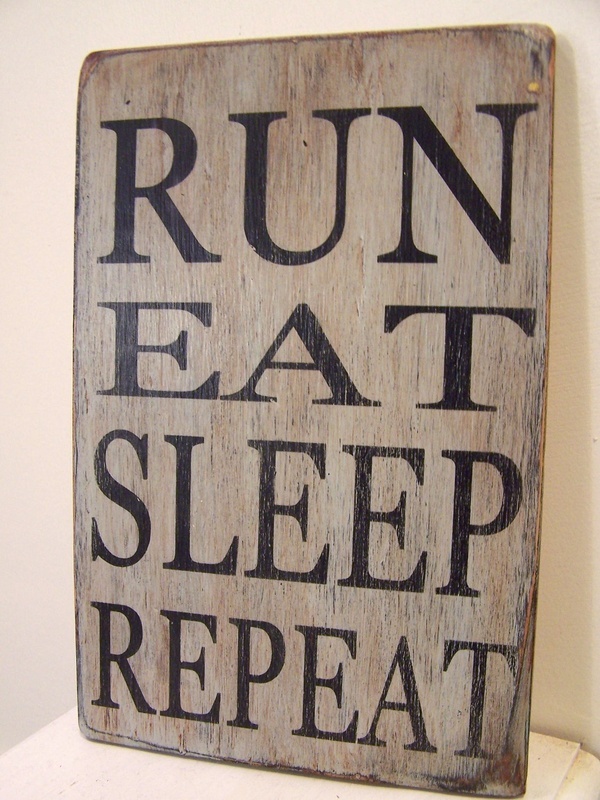 Or, are we all that obsessed with running that we convince ourselves we’re not tired? Turns out, runner’s high is no myth. 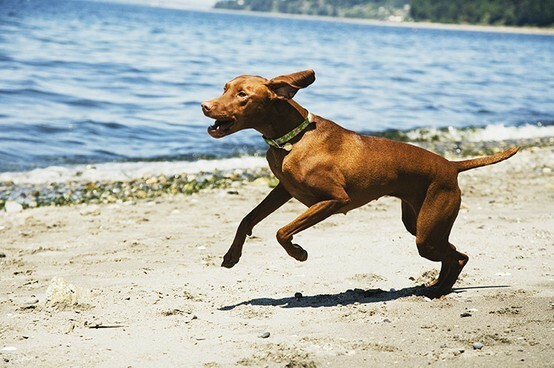 According to a 2008 New York Times article, researchers in Germany proved “runner’s high” to be true through the use of new neuroscience medical technology. Researchers examined a handful of distance runners to see if the phenomenon was an actual medical process. Using PET scans combined with a chemical that highlights the presence of endorphins in the brain, researchers found endorphins flood the brain during and after a long run. Endorphins released to produce a runner’s high are stimulated by duration and intensity, according to an article on Shape.com. The article says most people need to run at least 20 minutes before they feel the benefits of a runner’s high. Increasing intensity during runs, or adding a tempo run to a weekly workout can help a runner achieve a runner’s high. So it turns out runner’s high is real. However, it’s important to not let your brain get clouded by this sense of euphoria. Continue to listen to your body, what your legs are telling you, and as always, if you’re in pain, take a break. 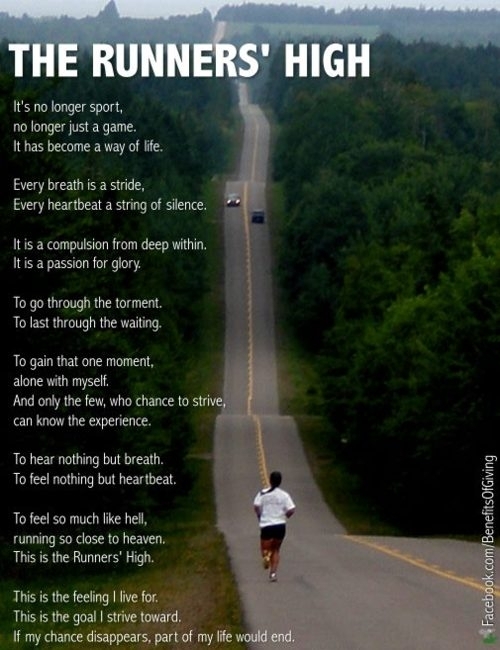 But until then, keep on running and soak in that runner’s high! This past week was a great training week for me. I ran four times during the week, including a tempo run on Tuesday evening at a beautiful track in Boston (with a great view of the city in the background), a short 3.5-mile run on Wednesday morning, a long 7-mile run on Saturday morning and a short recovery run on Sunday. The tempo run was good besides the heat. Last week was the first heat-wave of the summer up here in New England and my lungs could definitely tell. I did the 3-mile tempo run in the evening as the sun was going down but the heat was pretty tough even at that time. The next morning, I woke up early to begin my run at 6:30 a.m. to try to beat the sun and the heat. It worked for the most part but towards the end I was feeling the heat. My long run on Saturday was the longest I had ever run and it felt fantastic! It was 7 miles long, along the coast of Maine. The distance wasn’t bad at all but there were a lot of hills that got to me. The biggest ascent was in mile 5 and was 74 feet, with 0 feet of descent. That was tough! The total ascent was 144 feet and 139 feet of descent. But for the most part, I think I did pretty well. I averaged a 9:10 mile during the run and I’m hoping I can keep that up as I increase mileage. My Sunday recovery run was the best of the week. 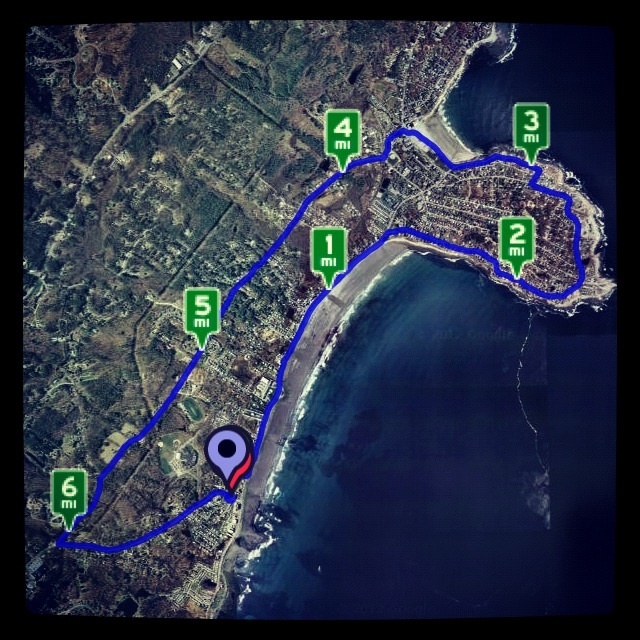 It was a quick 5-k- I didn’t time it but it was roughly 25 minutes- along the coast of Maine again. My cousin Paige did the run with me and it was so hot when we went out that we came up with the ingenious idea to wear sports bras on our run and our bathing suit bottoms underneath our shorts. Immediately after we finished the run we went down to the beach, took off our shorts and dove into the cool Atlantic. It was amazing! I felt so great after it was over, I wanted to do it again. Overall I’m really pleased with my training this week. On my off days I did strength training to build muscle in my legs and core. I learned a lot about how my body reacts to distance and I am going to use that for my next long run. I hope you all had a great week running too! Be on the lookout this week for a post about the myths of “runner’s high.” Happy running! A few weeks ago, I was stressed out and overwhelmed by new responsibilities. It was Friday and I got home later than usual due to traffic. I think my mom could tell I was stressed and suggested I lie down for a bit and relax, but all I could think of was, where are my running shorts and I need my sneakers stat. I think I was out of the door before she knew I was gone. I got to her apartment at 6:00 p.m., changed into my running clothes and we left. We ran about a mile to the track and then began our interval workout. It was a particularly warm (and pollen-y) evening and the sun was dipping over the trees but strong enough to shine on us the entire time. We planned to run 8 2×110-meters at what I like to call a “comfortably hard” pace. As I finished the 7th lap, I was having trouble breathing because I have severe pollen allergies and it just wasn’t my day. I was pleased with how I had done, since it was already an increase since my last tempo run so I decided to slow to a job and finish with some stretches. Paige was not done, she still had energy and still needed to relieve her stress. As I stretched on the nearby bleachers I had a perfect view of her final leg of the 8th lap. It was inspiring to watch her sprint to the end, game face on and finish the workout. Running has become a way for me to relieve stress and I know that’s how Paige views it too. After a stressful week or getting in an argument with a significant other, it’s something you can do for yourself. It’s a way to focus frustrations, maybe even anger, into something positive and healthy. This is really the reason I started running. I needed to focus on something bigger than myself and running allowed me to do that. 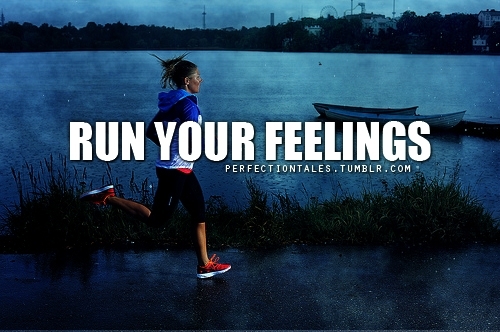 Now, I use running when I’m happy, energetic and motivated as well as frustrated, stressed and upset. It gives me something to work towards (because we can always increase our personal goals) and it gives me a reason to get outside and just go. Moral of the story? 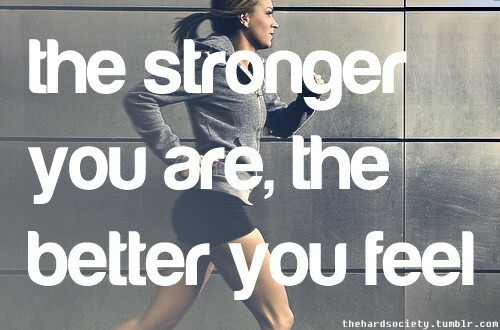 If you’re angry, stressed, overworked or happy, inspired and feeling strong, just get out there and go! Just finished week two of my half-marathon training and it went pretty well. I ran three times this week, one short and easy run, a longer run and a tempo run. I made a beautiful mistake with my tempo run this week however. I set out on the track to do the same run as last week (see my last post about “Demystifying the Tempo Run”) but instead of running 100-meter intervals, I accidentally ran 200-meter intervals, essentially doubling my run. I call this a beautiful mistake because I didn’t realize it until I finished and I still felt great, which was a huge improvement from the first time I tried the tempo run. This week I am looking to do the same training plan but up my mileage by one mile for each run, with the exception of the tempo run. I also am looking to add in some more strengthening exercises this week to keep my body strong, building endurance. Look forward to more posts this week about nutrition for runner’s, gear updates and more! I hope y’all enjoyed the weekend! This is a great video with those pesky little last-minute tips you need before not only a marathon but any big race. Check it out! When I started running, I kept hearing about tempo runs. I thought they sounded intimidating so I never attempted one. I knew they would good for speed work, but my focus was distance. I knew they were good for strengthening, but I did weight training. I also knew they were good for building endurance, but my three-times-a-week cardio kickboxing class did the trick for that. What I didn’t know is that when you start working full-time, it’s not as easy to run long runs every other day with cardio kickboxing classes in between. Tempo runs are perfect to throw into any consistent running routine because they have the benefits of endurance and strength training packaged into one workout. As I train for the half-marathon in September, I’m learning tempo runs will be the key to allowing me to run the full 13.1 miles without being as tired. Distance runners use tempo runs not only to work on speed but to increase endurance. According to an article on Runner’s World’s website, the “best predictor of distance-running performance is your lactate threshold, which is the speed you are able to run before lactic acid begins to accumulate in the blood. ” After lactic acid is released into the blood, you start to feel fatigued and will have to slow down. Tempo runs help to slow down this process and in essence, speed up your run. If you haven’t tried a tempo run before, I would suggests starting with a traditional tempo run first. This consists of a 2-mile jog warm-up to loosen up your muscles and get your heart rate up. Then, you run for 2-miles at a “tempo” pace. This is NOT a sprint! Tempo pace is typically referred to as “comfortably hard.” You want to run faster than your normal pace but not so fast that it becomes difficult. After you finish the 2-mile tempo run, conclude your workout with a 2-mile jog/walk cool down. As you start to get better at this, add a half a mile to your tempo run every two weeks. Pretty soon you’ll be able to run up to 6 miles at tempo pace. If this is difficult, another option is to do a modified tempo run my uncle showed my cousin and me last weekend. This endurance-building run is easiest to do on a track. Start off with a 1-mile warm-up run around the track. Once you’re done with that, beginning at the 100-meter mark (the straightaways of the track) run at a fast pace, again NOT a sprint, but a pretty comfortably hard pace. When you get to the curve of the track, slow down to a jog to recover your breathe. Repeat this 8 times, equaling 2 miles. Then, do another 1-mile jog/walk cool down. As always, don’t forget to stretch!